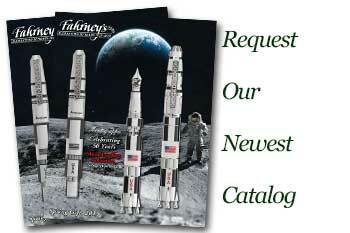 Order your Platinum 3776 Starlight Galaxy Ginga Maki-e Fountain Pen today from FahrneysPens.com. Fine Pens, Refills & Luxurious Gifts – great prices & fast shipping. Platinum’s Japanese artisans looked to the heavens for inspiration when creating the new Starlight Galaxy 3776 Century fountain pen. The stunning craftsmanship and irresistible glitter effect on the Starlight Galaxy pen beautifully captures the stars in the night sky. Using traditional Maki-e techniques, the artist sprinkles “ao-gai” (blue abalone shells) over the resin pen body, then applies multiple layers of clear lacquer. This incredible pen will take your breath away, an expression of the artistry of Platinum’s Maki-e craftsmen. The delightful 18K gold Platinum nib is a perfect combination of technical genius and vintage design. The cap’s patented ‘slip and seal’ mechanism keeps your ink fluid and protects against evaporation and leaks. Shipped in a traditional Japanese wood box. Cartridge/converter fill.